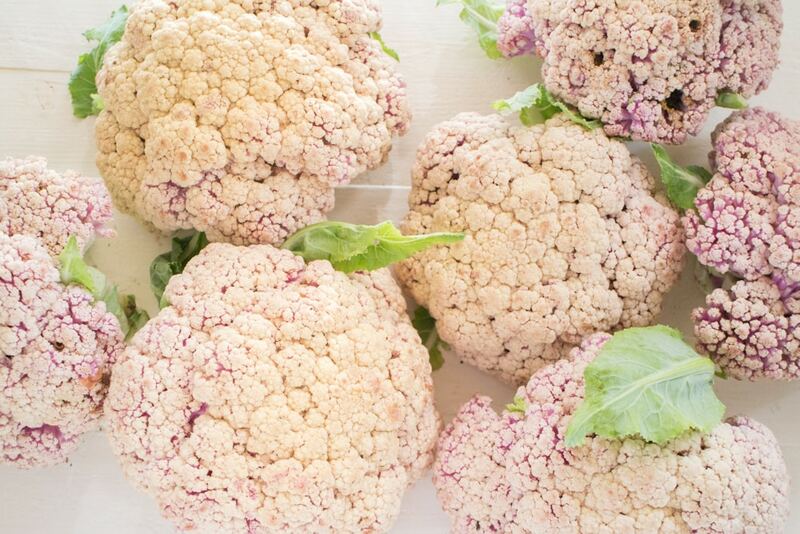 If you’re curious about the purple tone on the cauliflower, that’s completely normal. 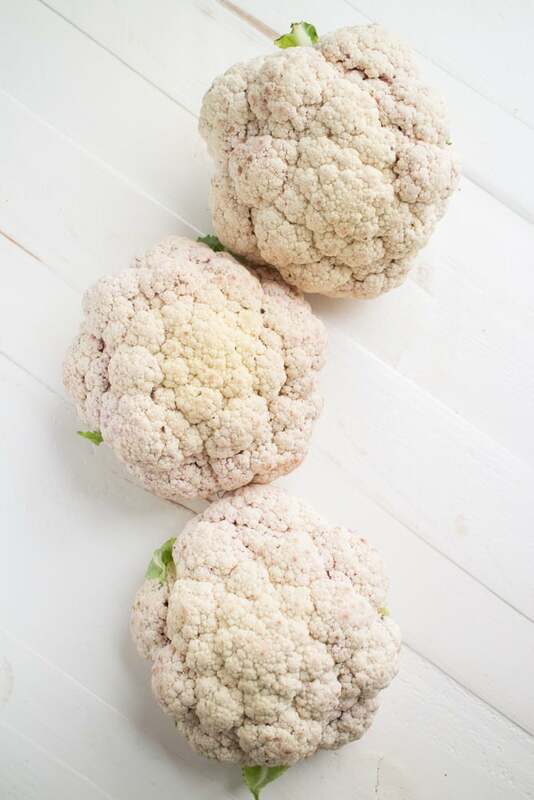 Lots of cauliflower tend to turn purple after a while, it doesn’t affect the taste at all. This specific variety often shows a purplish coloration on the undersides of the heads. I think it gives it more character – plus isn’t the color beautiful? 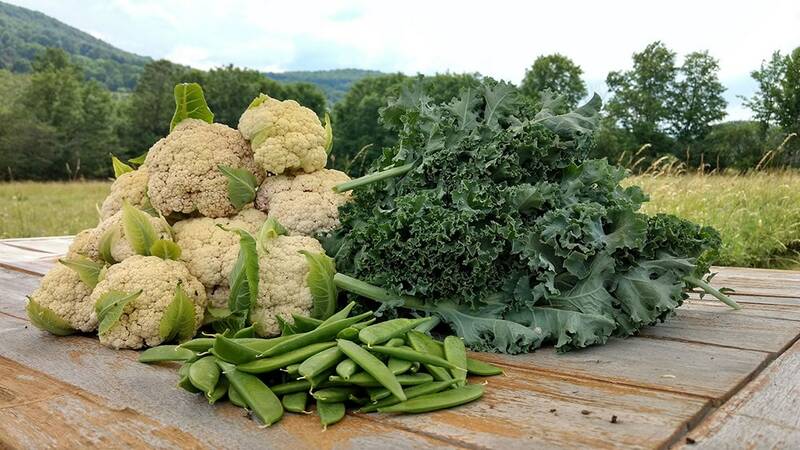 Besides the cauliflower, July is harvest time for sugar snap peas, lettuce, kale and broccoli. 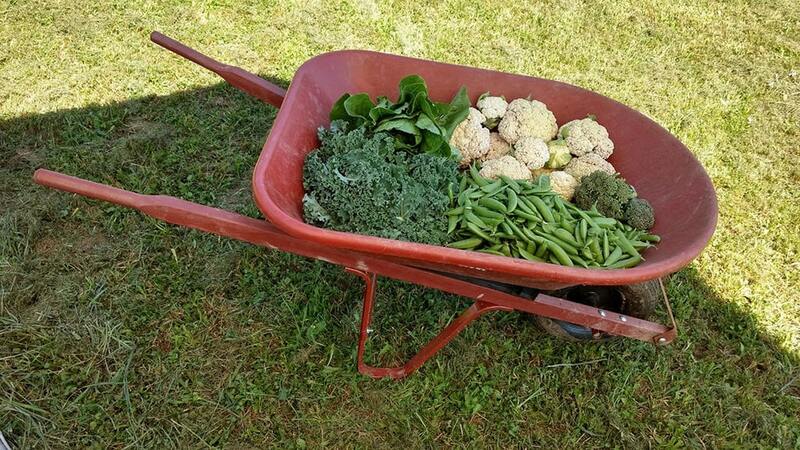 Last week we filled up a while wheelbarrow of fresh veggies to bring home. Look out for more cauliflower and sugar snap pea recipes coming soon.. but for now check out my Cauliflower Sugar Snap Pea Casserole that we’ve been loving! Stay tuned for lots more harvest posts in the near future – it’s about to get vegetable crazy! I’m jealous…. and, hungry! ?? My all time favorite veggie:) Can’t believe that these are home grown. Way to go girl!! Congrats! 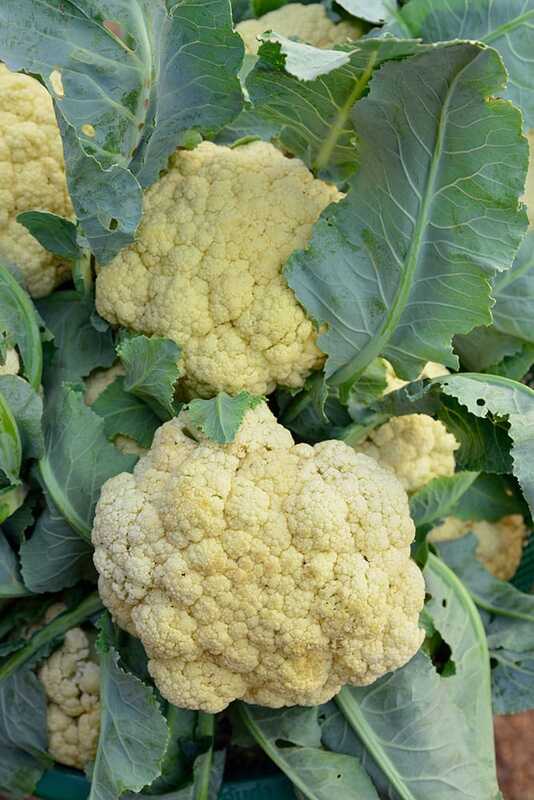 The cauliflower looks amazing. I’m not sure if I would’ve have thought to try a different variety before throwing in the towel 😉 . Love the pics.